And just like that, she is gone. Oh sure, she had left before, a hundred times. First, to the church nursery, then to summer camp, then on a mission trip to Romania, and then out of state to college, then after college graduation a trip to Europe, a visit to her boyfriend in North Carolina, then an internship to Thailand. But she always came back. Today she left because she was married this weekend. The 22-year-old Bride and Groom come to our house after their honeymoon to grab her final bags and join us for dinner. This time the goodbye is different. She is married and she is leaving for good, with her husband. As she embraces her daddy in the driveway, the tears began to fall. They both realize the significance of the moment. And I watch, not able to hold back my own tears. This little girl whom we raised is now a wife and she is literally (and metaphorically) flying away across the country where she will make her home in a new community. The weight of it feels too much for me to carry. As I think back to when she left for college, I remember it was also hard–really hard. But I always knew I would see her at the next break –Christmas, Easter, Summer….and I think that made it easier to swallow. Now, I don’t know the next visit. And she has left us to cling to a new family –a family she may like even more than ours. Her name has changed. It is all good, right? I have no complaints or regrets. We are thrilled with her choice of a husband. She is ready for this. They are good for each other. So why is this so hard? Why can I not stop crying? Perhaps part of the issue is menopause and entering mid-life the same year my first-born daughter graduated from college and got married–that’s a lot of change at once. More likely, however, it’s because I was blindsided by what was about to happen. Planning a wedding for the last 6 months has a cruel way of making you focus on just one day and the myriad of details involved–not the rest of the days that follow. It was all we could do to get through a daily “to do” list leading up to the wedding. And then even on that day, we scrambled to create a “Plan B” as it happened to be the one day in Southern California where it poured rain down on our beautifully-planned outdoor wedding. No time for much emotion or embracing what was about to happen with the union of the man and wife. Instead, we were checking every weather app invented on a minute by minute basis as we made game time decisions for picture-taking, umbrellas, music and signage. The distraction of taking our pictures in the rainstorm with my dress in muddy puddles also caught me off guard. While the wedding turned out truly spectacular, it went by in a blur and then they were off for their honeymoon and I was left trying to find a box for leftover wedding cake. But they would come back. We would see them in a few days, I reassured myself, as I searched for the wedding cake box. That day came and went today. All has gone as planned mostly. So why again am I so sad? Perhaps I am grieving not for losing her; perhaps I am grieving because I feel I am losing a part of me. It seems to me that a first-born child getting married feels like my soul is being stretched like “Elastagirl’s arms” clear across the country, as it is pulled beyond its bandwidth. Clearly, my superpower is in need of repair. As I hug my precious little girl tonight in the driveway, her life flashes before my eyes: the birth, diapers, lullaby’s, silly songs, school performances, temper tantrums, nighttime tuck-in’s, school lunches, dress up imagination games, Barbies, ballet dances, musicals, groundings, PROM, etc. She had given me an identity as a mom. I invested my life into hers –and my other two children –and they had come to define me. When people would ask “how are you?” I would respond with how all my kids were doing. My entire psyche apparently was wrapped up in my children. I was warned not to do this. I gave great parenting advice to others not to do this. And, I’m pretty sure I was convinced I didn’t do this. But here I am –a bit lost as I say goodbye–as I realize I do this. We spend the better half of our adult lives raising our kids to be awesome people and go into the world. And then they do. And so why am I crying again? Isn’t this the goal? While my married daughter is certainly independent from me, up until the wedding day, it felt we were still connected by an invisible umbilical cord. Tonight, the cord has been severed–I feel it in my gut. Just as a child about to be birthed doesn’t know what awaits her as she feels the contractions push her from the womb, so I don’t know what this next season holds (but I am feeling my own contractions!). However, as no baby ever wants to go back in the womb, so too I will embrace my new unknown with hopeful anticipation. Well, I may start tomorrow –tonight I will allow myself to grieve just a bit longer. Surprisingly, the tears feel necessary to heal this mother’s heart. Life is short and I know that focusing on present joys is better than living in the past. Knowing this in my mind doesn’t always transfer to my heart, but with time, I’m sure it will. 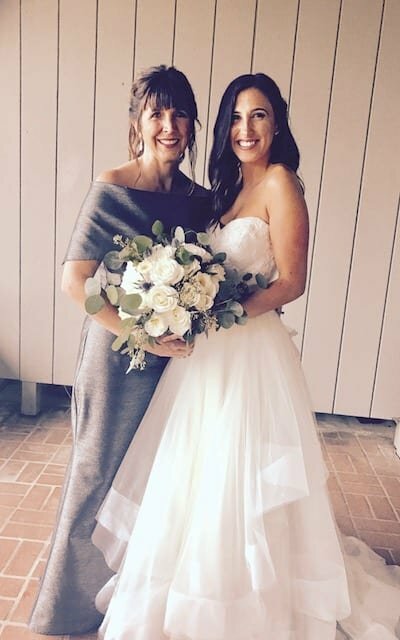 My daughter is on her way to her new life….and so am I.
Camille Block has been married 28 years and has three children – a college graduate and newly married daughter, a college student daughter, and a high school son – whom she is clinging to for the final stretch. Finding herself in an empty nest transition, as well as menopause, she has found some solace in writing personal essays capturing both the humor and the emotions of unique moments in this unfamiliar life stage. She is also in the process of publishing her first book about life with her quadriplegic brother, offering tools for the universal cries of the heart we experience when those we love suffer. She holds a B.A. 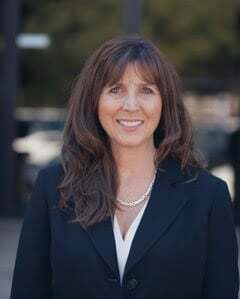 in Social Science/Business Management minor from Pepperdine University and her professional background spans across industries in executive recruiting, sales & marketing.